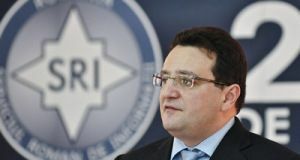 PNL MEP Siegfried Muresan (photo 1), spokesman for the European People’s Party (EPP), has reacted toughly to the statements made by Prime Minister Viorica Dancila on the relocation of the Romanian Embassy from Tel Aviv to Jerusalem, saying the official said nonsense, as she later on said her statements were personal opinion. “Prime Minister Dancila said nonsense regarding the relocation of the Romanian Embassy to Jerusalem. After realizing the harm done, she said it was a personal opinion. I say it plainly, the Prime Minister of a country is not allowed to have ‘personal opinions’ that are in contradiction with the country’s interests. You either are Prime Minister or you are a private person with personal opinions. Enough amateurism for the country leadership,” Siegfried Muresan wrote on Facebook. Former Prime Minister Dacian Ciolos (photo 2), currently leader of PLUS Alliance, said Dancila’s announcement is a dissonant position to the one of the European partners, although Romania currently holds the presidency of the Council of the European Union. “As a full member of the European Union, Romania is holding the presidency of the Council of the European Union. On this position, in contempt to the common EU foreign policy, Romania decides, without previous consultations, to have a dissonant position against the European partners. It is an obvious proof of PSD’s hypocrisy, which claims pseudo-independence from European interests, to the benefit of Romania, although in fact it acts unscrupulously in favour of private interests, unknown to the Romanian public,” Ciolos says in a release from PLUS. 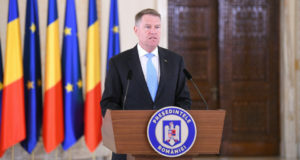 He also argues that the announcement proves the Romanian Premier is not aware of the Constitution’s provisions, of the diplomatic protocol and also ignores our country’s strategic interests. “The PSD-ALDE coalition has complained in the past years of the difcitult cooperation with President Klaus Iohannis. By ignoring the Constitution and the President’s role in foreign policy, the ruling coalition’s parties prove ill intention. 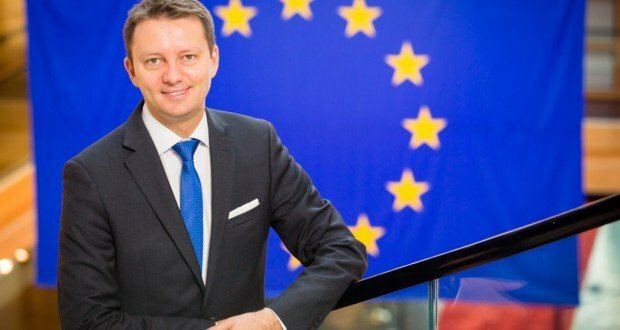 The only policy they understand, the coalition which captures Romania and is trying to take it out of the European path, is to isolate the Romanian President, to exclude him from the role established by the fundamental laws. On the foreign plane, such a behavior could have dramatic consequences for our country,” the release reads. 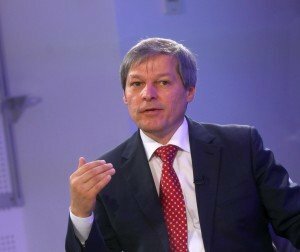 Dacian Ciolos says Romania should return to its well-known position of neutral mediator for the actors in the Middle East and set the country’s long-term interests first. After announcing on Sunday, during a visit paid to the US that, after completing the analysis and in full consensus, Romania will relocate the Embassy in Israel from Tel Aviv to Jerusalem, PM Viorica Dancila has got back over the issue during a TV talk-show, saying the announcement on the Romanian Embassy’s relocation to Jerusalem was just a personal opinion. Former president Traian Basescu also retorted that the PM’s announcement on relocating the embassy to Jerusalem “has thrown down the drain 50 years of Romanian foreign policy in the Middle East” and “makes us alone inside the European Union”. He also called Dancila “stupid”. “Counting on the fact she is stupid, American lobbyists invited Dancila to an event commemorating the Holocaust. Thinking it’s the opportunity of her life to manifest herself on American soil, Dancila has recited the instructions ordered by Dragnea without understanding the effect of her own speech. She promised anything Dragnea thought it would positively impress the audience for its own account, by seriously disobeying the unity and solidarity stance of the European Union, but also Romania’s balances foreign policy in the Middle East. 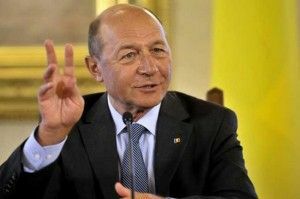 The announcement that the Romanian Government will relocate the Embassy from Tel Aviv to Jerusalem has stirred the audience’s enthusiasm, but thrown on drain 50 years of Romanian foreign policy in the Middle East“, Basescu posted on Facebook. First vice-president of the National Liberal Party (PNL), Raluca Turcan said in her turn that PM Dancila should not be allowed to address foreign policy matters and must resign. “She doesn’t know or understand, she has no powers”, Turcan said, also adding that the fact the Jordanian King cancelled his visit to Romania “is extremely serious”. Turcan revealed that because of Viorica Dancila, three agreements between Romania and Jordan on justice, healthcare and education will not be signed anymore. “Romania has become a SHAME abroad because of an amateur premier’s blunders. Foreign minister Teodor Melescanu is also to blame, for he tolerated and is still tolerating the foreign policy mistakes made by the PM. Viorica Dancila must resign immediately,” the Liberal leader said.